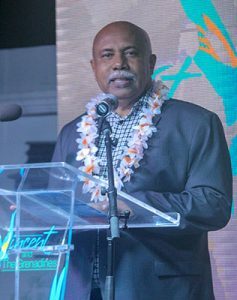 Several establishments, organizations and persons have been rewarded for their contribution to the tourism sector in 2018. 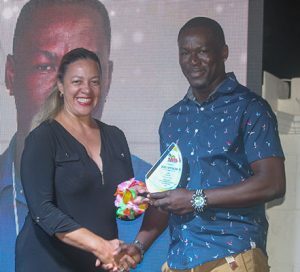 The awards came last Saturday December 1, during the annual St Vincent and the Grenadines Tourism Awards which were held at the Grenadine House at Kingstown Park. 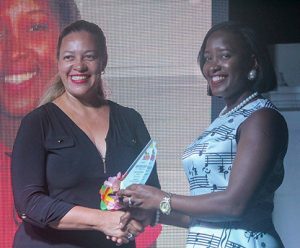 The event saw persons being recognized by the St Vincent and the Grenadines Hotel and Tourism Association (SVGHTA), the Ministry of Tourism and the St Vincent and the Grenadines Tourism Authority (SVGTA). Coming in as supervisor of the year was Marva Richards of the Beachcombers Hotel. Richards has been in the industry for 25 years. Bartender of the year went to Daniel “Jude” Peters of Grenadine House. Jude is described as very innovative, dependable, resourceful and friendly. Joel Spencer of the Sunset Shores Hotel is chef of the year. Spencer is trained as an electrical engineer but has gravitated towards cooking. 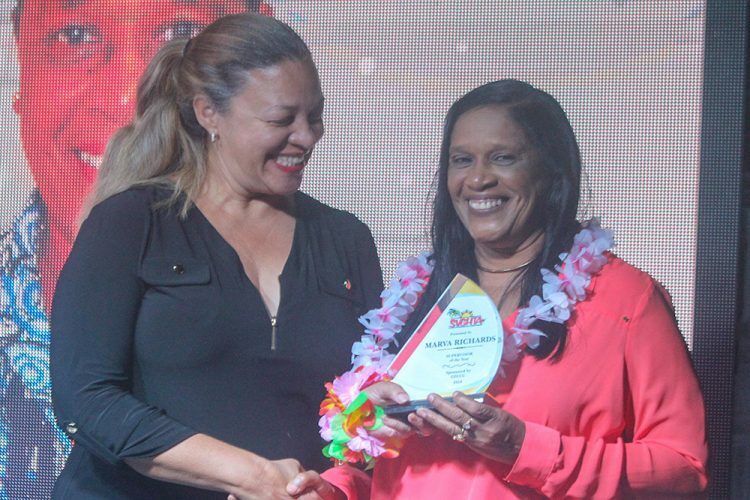 Front office person of the year is Shevern Davy of Paradise Beach Hotel. Davy has been employed at Paradise Beach for the last 12 years and has worked her way up from waitress to receptionist. The room attendant of the year award went to Jennis John-Nanton who is employed at the Sunset Shores Hotel. Nanton has worked in the industry for the past 24 years having joined the staff of Sunset Shores Hotel on the September 2, 1994. Patricia Conliffe of the Young Island Resort is the waitress of the year. Conliffe has been at the Resort for the past 21 years and is a senior waitress in the restaurant and frequently works as shift supervisor. Seventy-one-year-old Bertie Horne is gardener of the year. He works at the Young Island Resort and has been there for the last two and a half years, having joined the staff following his retirement as a gardener at Government House. Tour guide Romona Gibson has been recognized as island ambassador of the year. She has worked in the industry for over 15 years and is said to possess a wealth of knowledge about sites in SVG. Dive operator of the year is Serenity Dive. The business is recognized for introducing scuba diving to the schools resulting in 15 students being certified. This year, with support from partners, the number of students was increased to 20 and a reef program for children who are not old enough to begin scuba diving, but old enough to snorkel and get information on our reefs and fishes was introduced. Yacht operator of the year is Sail Grenadines. Sail Grenadines is described as a leader in the local yachting industry that certifies and promotes education to local youths in economic hardship through their training school, an internationally recognized organization for maritime careers. The experienced Bianca Porter received the award for hotelier of the year. An employee of the Young Island Resort, Porter has a Bachelor of Science degree in Hotel, Restaurant and Travel Administration (with honours) from the University of Massachusetts at Amherst and has served in managerial positions at top hotels in SVG. Porter was appointed a member of the Board of the St Vincent and the Grenadines Tourism Authority from inception in 2009. She is the current Chairman of the Authority. These awards were presented by the SVGHTA. Awards from the Ministry of Tourism were for the most outstanding community group for 2018 — the Owia Heritage Organization; the most outstanding tourism site for 2018 — Owia Salt Pond Recreational Site; most outstanding port ambassador for 2018 — Sonoya Browne and most outstanding immigration officer for 2018 — Verrol Thomas. The CW Prescod Primary School was given a special tourism award. The SVGTA awards recognized persons and establishments both on the mainland and in the Grenadines. The most compliant accommodations were the Blue Lagoon Hotel and Marina (St Vincent) and the Islanders Inn (Grenadines). The most outstanding taximen award went to Tommie “Willow” Greaves (St Vincent) and Garvin Ollivierre (Grenadines). 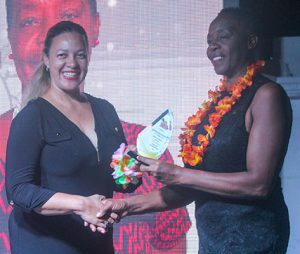 The most compliant tour operator is Sea Breeze Nature Tours while the most outstanding tour guide award went to Dianetta Seaton. Camille Jacobs received an award for being the most outstanding trainee tour guide.